This week, Dave Broom takes us on a sensory tour of Scotch whisky’s outliers, both geographically and figuratively speaking: three of the less-heralded island single malts, accompanied by a trio of independently-bottled single grains. 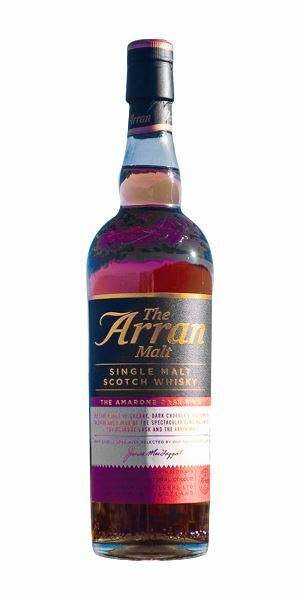 It all starts off promisingly enough, with Broom overcoming his instinctive dislike of wine finishes to give a resounding thumbs-up to an Arran Amarone Finish – even if it is ‘the colour of a Scotsman exposed to the sun for 20 minutes’. 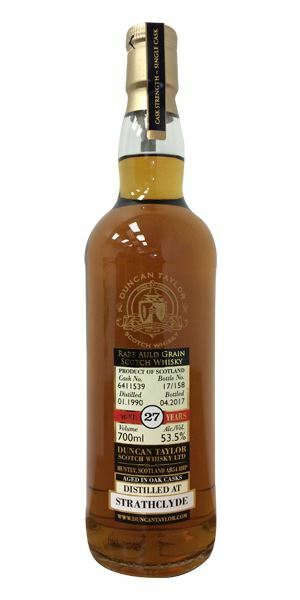 Now it’s onto the grains, beginning with a ‘rich, potent’ 25-year-old Cambus from Duncan Taylor, which evokes memories of butterscotch Angel Delight (remember that?). 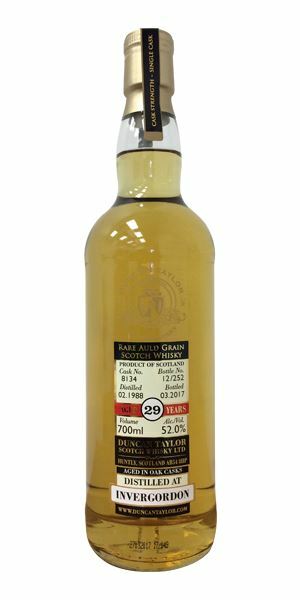 Staying with grain and Taylor, we move north to Invergordon, and some typically rich and robust flavours that make this 29-year-old single grain strictly one for the rum lovers among you. 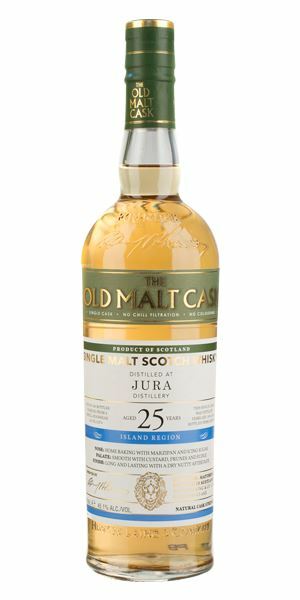 Back to the islands and a rather ghostly Jura, that proves elusive with its ‘wraith-like’ flavours, appears to reside somewhere in the netherworld and provides Broom with one of the strangest whisky experiences he’s had in a long time. 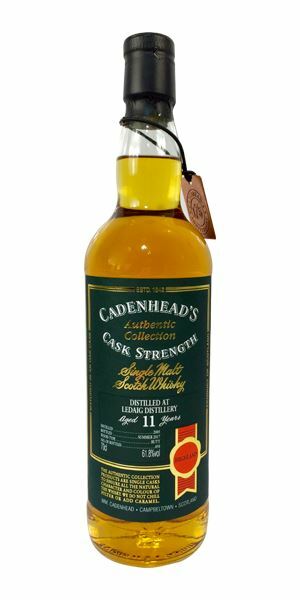 Regular readers will know that Broom also often struggles with Ledaig, so it’s a pleasant surprise to see some praise from him for an 11-year-old expression bottled by Hunter Laing. 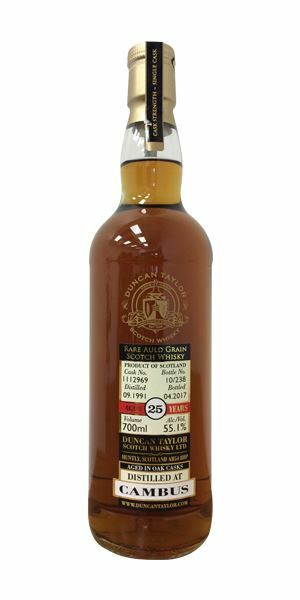 We end with our third grain: a 27-year-old Strathclyde from Duncan Taylor that provides a ‘sound and solid’ close to proceedings – although Broom can’t help feeling that it might have found better employment in a blend. The colour of a Scotsman exposed to the sun for 20 minutes, this opens with soft, sweet fruits: raspberries and red cherry with some little oak and baking spices behind. In time everything deepens into Black Forest gâteau and wilder fruits: hawthorn, bramble, rosehip. Give it time as it blooms beautifully, adding more of the briary fruits, tayberry and coconut. 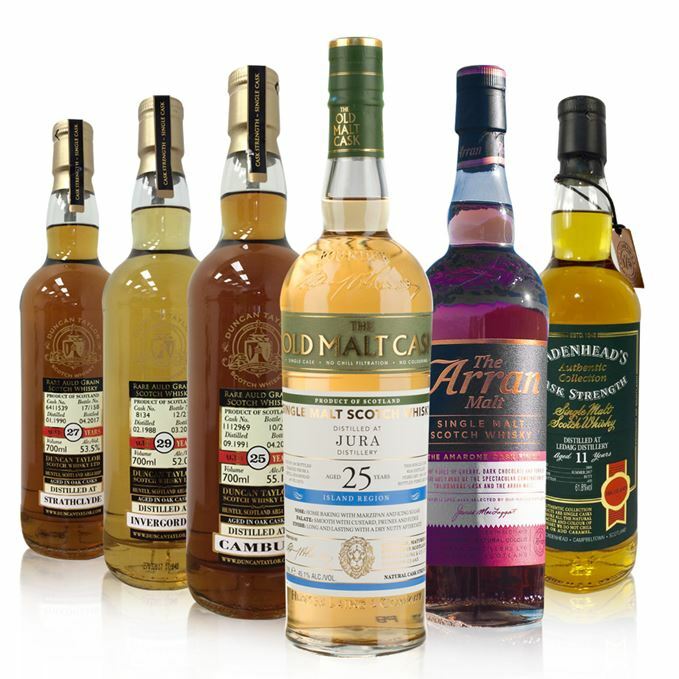 No great surprise that fruits dominate the palate, but there’s also some of Arran’s citrus and light cereal along with just the right amount of heat to give some drive. The Amarone adds a savoury element along with marzipan. Water adds to the depth. Light acidity, then cherry and pepper. I’m not a great fan of wine finishes, but this is enough to convince me otherwise. Recommended. Rich and quite solid with deep baked and dried fruits, beeswax and a little (but manageable) nose burn. In time you pick up chocolate and maple syrup. Water increases its boldness, allowing the fat, sweet distillery style to mix well with amontillado Sherry notes from the cask. Nutty, slightly funky and spicy. Very Cambus in its thickness and palate-coating texture, filled with nuts and butterscotch Angel Delight. A chewy beast with balanced oak. Dilution shows this balance more clearly, with the weight of the spirit effectively counterbalancing the oak. Dried fruits now come though. A rich and potent grain. Recommended. A soft, slow meditation on silence. Take it away, Messrs Baker, Haden & Enrico Pieranunzi. Very gentle and aromatic with Invergordon’s usual rum-like accents: lime, banana, guava, macadamia and golden syrup. There’s a significant dollop of melted vanilla ice cream. Sweet – if anything, it’s almost too sweet and sugary. Water allows a little dry oak to poke though, but even that influence is low. Light rum-like, now with more mango and lychee alongside the candy floss stickiness of the mid-palate. Things become a little brittle with water as the structure pokes through just a little. There’s now less sugar and more fruit syrups. A grain whisky for rum lovers. Just half-close your eyes and ignore the oil rigs – and the Cromarty Firth looks just like Barbados. Very pale and a strange nose of cork board (not TCA/cork taint). Hard and stony, wet rock and, in the background, wet moorland grass. It’s very Jura. Echoing, empty. A firm nuttiness grips the palate, but flavours are again distant and wraith-like, as if seen through a mist. In time there’s some softness, but it’s a texture that is given without any flavour attached. Water strips this away. One of the strangest experiences I’ve had with a whisky for a long time. It’s as if it exists in some netherworld. A Brocken Spectre haunting the Paps. Big smoke with an added maritime hint alongside hickory-barbecued ham studded with clove. The distillery’s oiliness is there, but not in a feinty fashion. A herbal element comes though as it opens alongside blueberry, while water reveals a range of farmyard aromas: wet straw, hemp and sweaty saddle. A big, dry, smoky start that moves into roasted barley territory. There’s some dry grass, smoked cashew and pepper. Water finally brings out some sweetness and even a sook of peppermint. Towards the end there’s a touch of Play-Doh and a hint of smoking, old, cooking oil. Nutty, firm, slightly hot. Smoky. It’s fair to say I’ve had my struggles with Ledaig, but this is decently balanced, bold and, while not exactly refined, is a lot of fun. Eating pig around the back of the stable. Surprisingly aloof for its age and the the fact it comes from a Sherry cask. Here, the alcohol is acting as a barrier rather than a contributor. It remains slightly dry with glimpses of spice, oak and wood panelling. Water doesn’t shake things out initially, but in time you pick up more Sherry-derived qualities like grilled nuts and fruit. Big, and thick in texture. As the nose suggests, there’s a firm edge here and a slightly burnt, raisined element along with light tannins. The wood, in other words, has the upper hand. Water does help soften things and allows the rich fruits to spread over the tongue. Sound and solid, but more of a structural whisky for a blend. Awakening, slightly rumpled, after a night on the Sherry. Batch 96 19/05/2017 A 2002 anCnoc, four James Eadie bottlings – all under 10 years old – and a 20-year-old Longmorn. Batch 94 05/05/2017 Six Speyside single malts from Glenallachie, Glen Spey and Miltonduff distilleries.